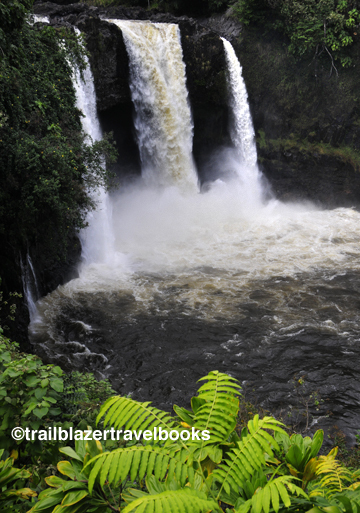 Once past the Ritz Carlton Resort headed north from jammed-packed Kapalua on Maui, the scene instantly changes to a rural highway hugging the coast for about 30 miles—all the way around to Wailuku on the other side of the island. 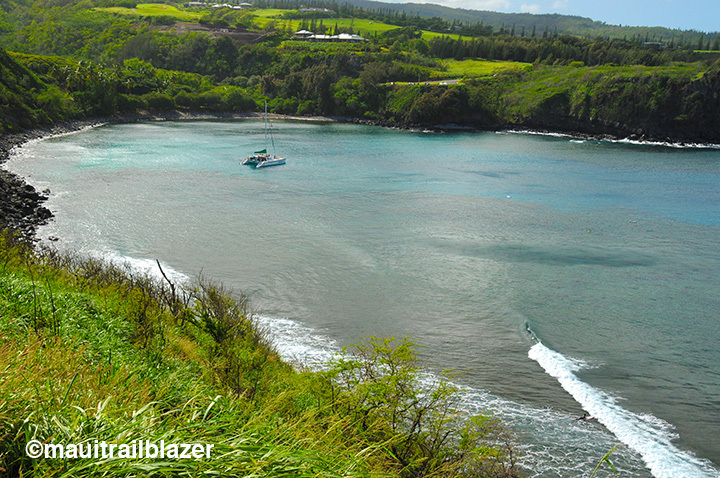 Near the start of this journey is one of its highlights, the Honolua Marine Preserve, where two little bays serve up some good-to-excellent snorkeling. After rains, Honolua Bay can be murky with stream runoff. At the outer point of Honolua Bay is one of the better surfing venues in Hawaii, where a world-class wave machine sends a uniform right-breaking curls toward the shore. The point is a grandstand for spectators. 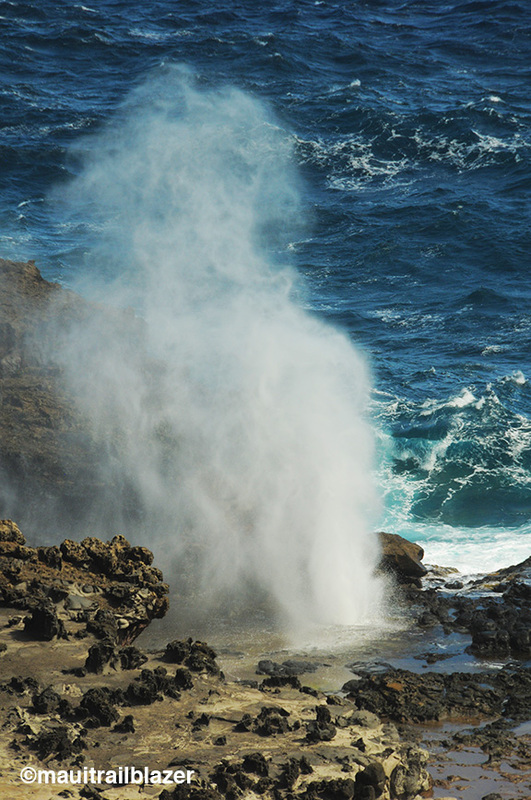 You can also take a short walk out to Lipoa Point, a spot for adventure snorkelers and birdwatchers. 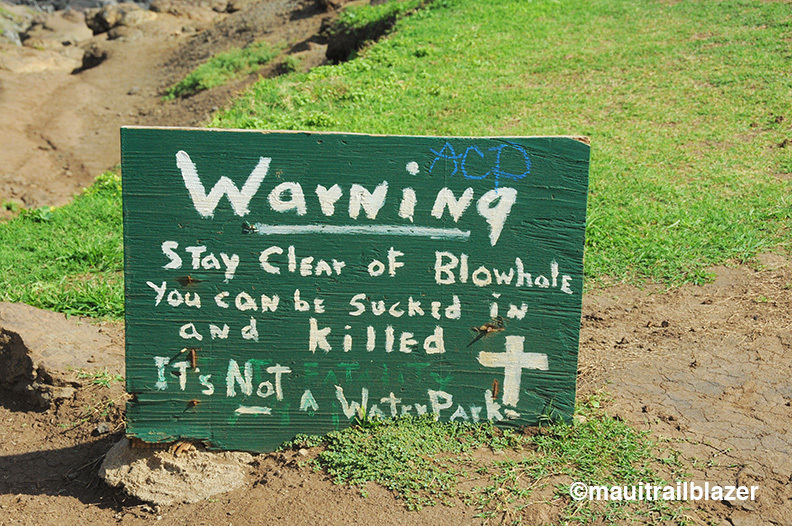 The Nakalele Blowhole is a well-known tourist stop. Two trails lead down to the geyser-like opening in the reef. The Ohai Loop Trail (easy) and Eke Crater Trail (hard, if you do it all) are nearby—not seen by many visitors. This sign is no joke. Same goes for the dangers at the Bellstone (aka Olivine) Pools, which are soaking tubs just down the highway. The road around the north shore is routine narrow and curving for the most part. 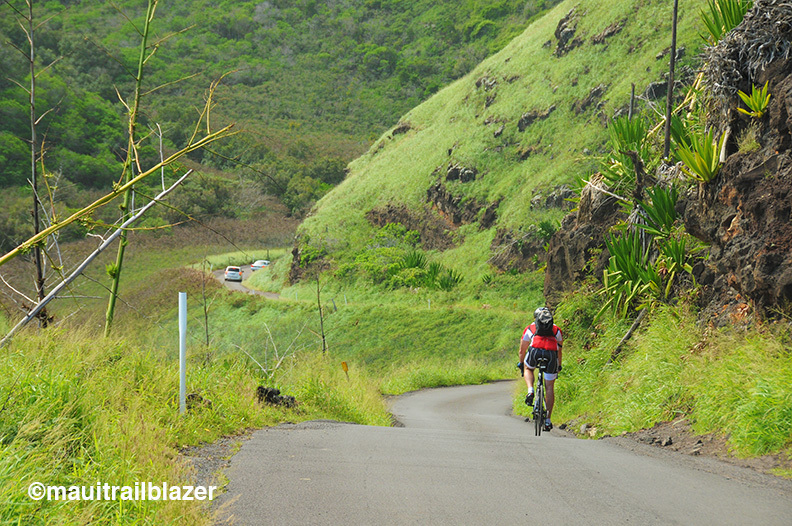 But for several miles, through quaint Kahakuloa Village, “narrow” becomes white-knuckle skinny with steep drop-offs. 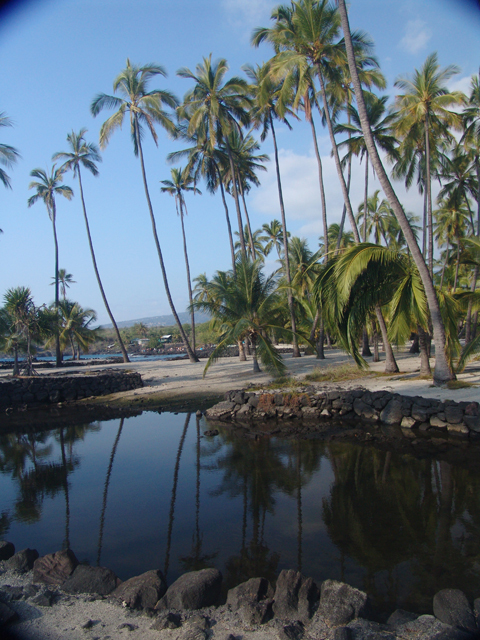 Anchoring the east side of the village is Kahakuloa Head, a landmark that can be seen from Baldwin Beach Park and other spots on the windward (east side). The head’s summit, and also the top of the volcanic hillock next to it, can be achieved by careful hikers. 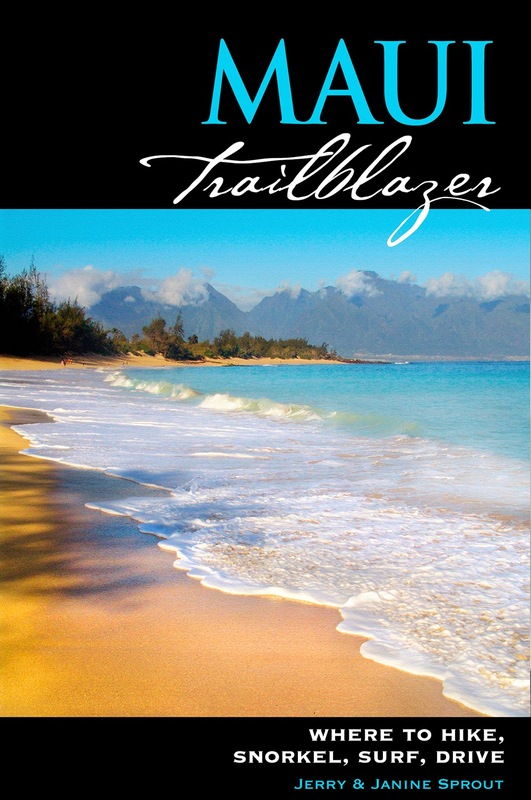 Maui Trailblazer has more details on these spots, as well as other attractions on this wild shore, most of which are off the tourist radar. 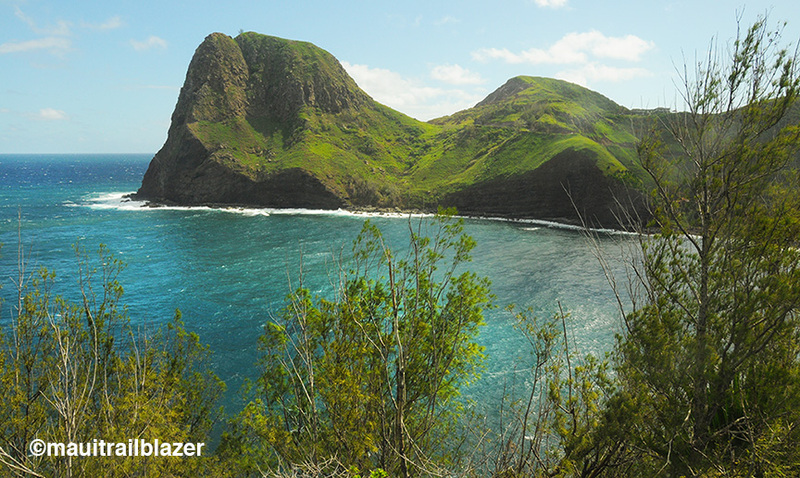 ← Kauai’s Coconut Coast is where Hawaii’s first Royalty chose to live.